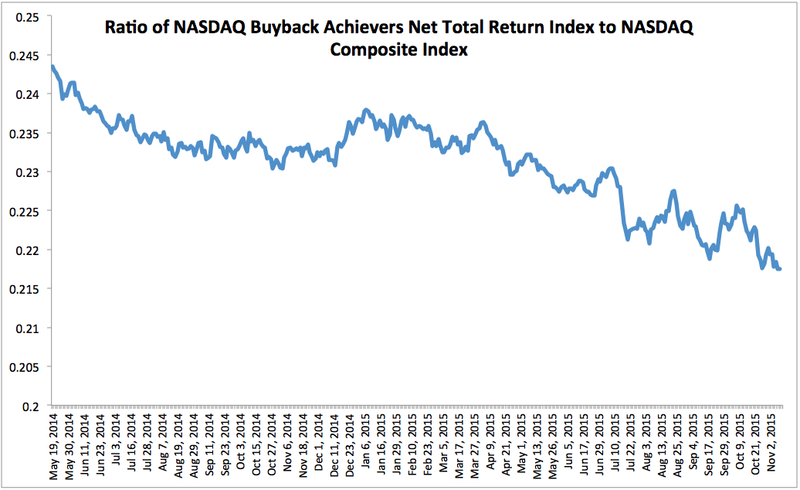 As buy-backs of shares inch down as the drivers of U.S. stocks valuations (chart below), things are not going much smoother for the hopes of a capex cycle restart in the U.S. corporate sector. As the following chart from Goldman Sachs research shows, 2015 has been shaping up as yet another year of decline in investment pipeline for U.S. companies. 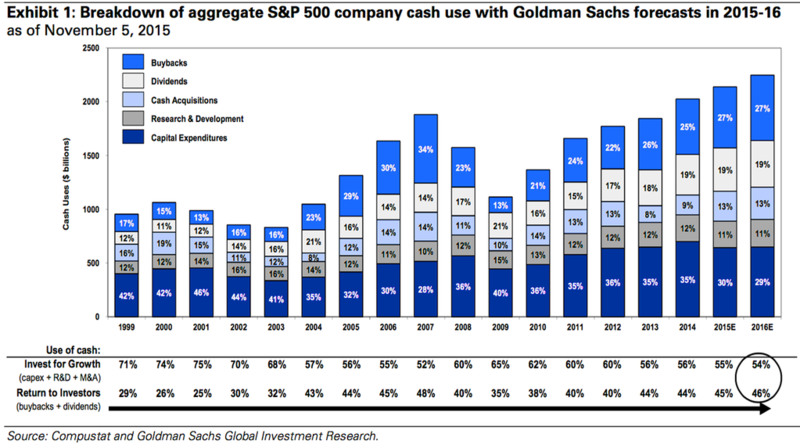 Capex and R&D investment share of aggregate cash holdings by S&P 500 companies is expected to hit 41% this year, down from 47% in 2014 and 2013 and marking the lowest reading since 2007. 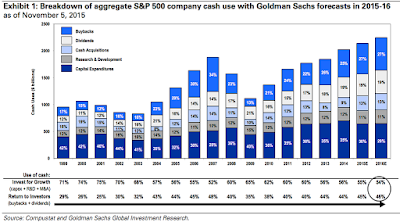 Worse, Goldman expects 2016 figure to be even lower at 40%. Goldman figures relating to ‘Investment for Growth’ indicator include M&As, which in my opinion should not be considered in this context, as success rate of M&As is extremely low (historically at around 30%) and current M&A valuations are frankly bonkers. 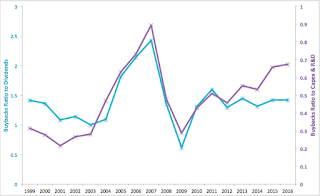 As shown above, relative weight of shares buybacks in terms of cash allocations by U.S. carpets has been on the rising trend now in comparison to Capes & R&D spending since 2009 and it has been flat since 2010 on for the ratio of buybacks to dividends. 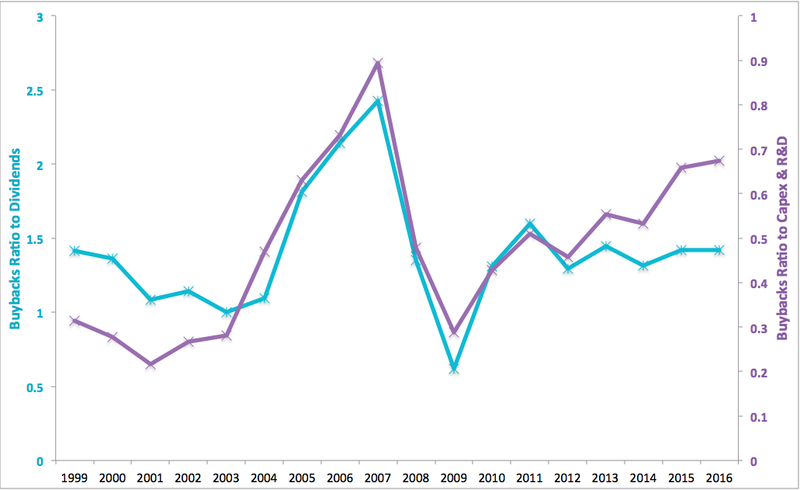 In fact, combined weight of M&As and buybacks ratio to Capex & R&D is now at 0.98, the highest since 2007. 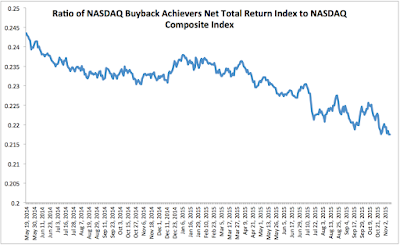 In simple terms, there is little indication in the Goldman (and other) numbers of any restart of Capex cycle and all indication, major U.S. corporates are living in a world of surplus liquidity and shortages of investable strategies and opportunities.